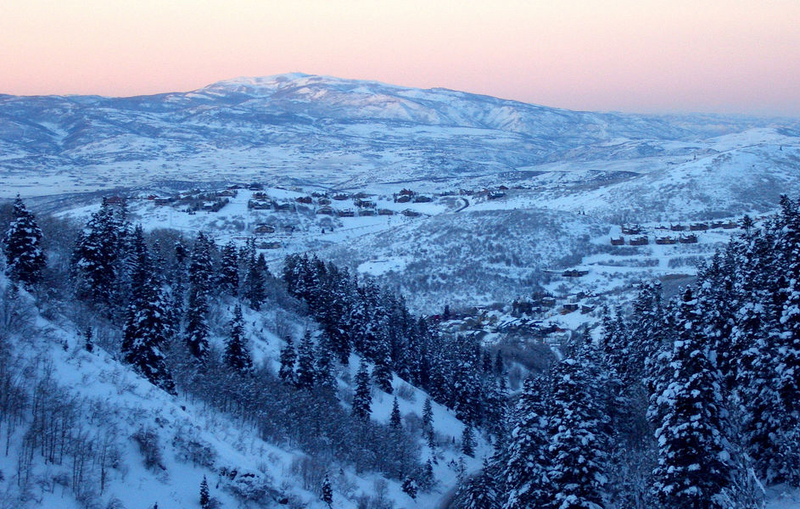 Utah has been a cool place to be since the Mesozoic Era—according to the dinosaurs, that is. 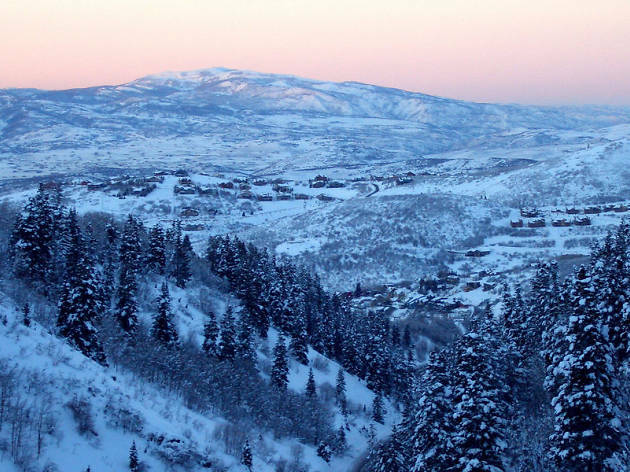 Known for its diverse landscapes, friendly locals and easy access to outdoor recreation, Utah is becoming an increasingly loveable tourist destination. 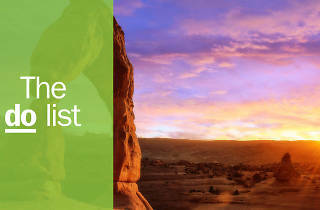 While the state certainly has its quirks, you might be too busy enjoying yourself to notice any of them—or you just might fall in love with all Utah’s unique wonders. Here are 11 of the best. What is it? 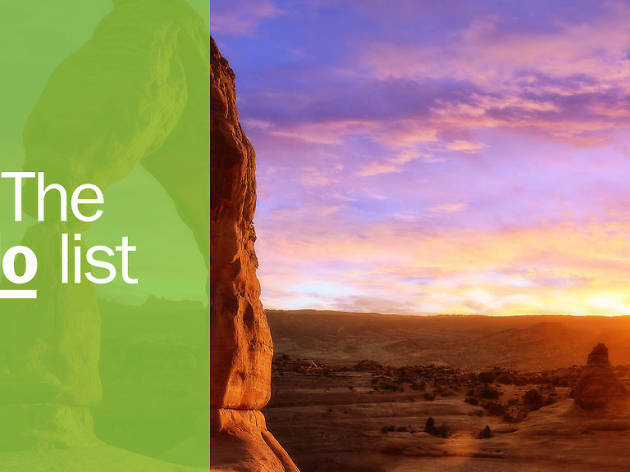 Take a five-day tour of Utah’s Mighty 5 national parks and you’ll marvel at the ancient canyons, cliffs, arches, bridges, and petroglyphs. Why go? 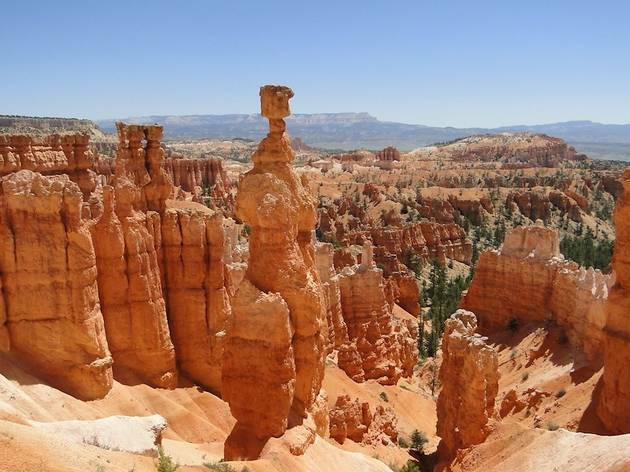 On a tour of Utah’s national parks you’ll get more than an eyeful of jaw-dropping scenery and if you’re lucky, you’ll also see some wildlife. 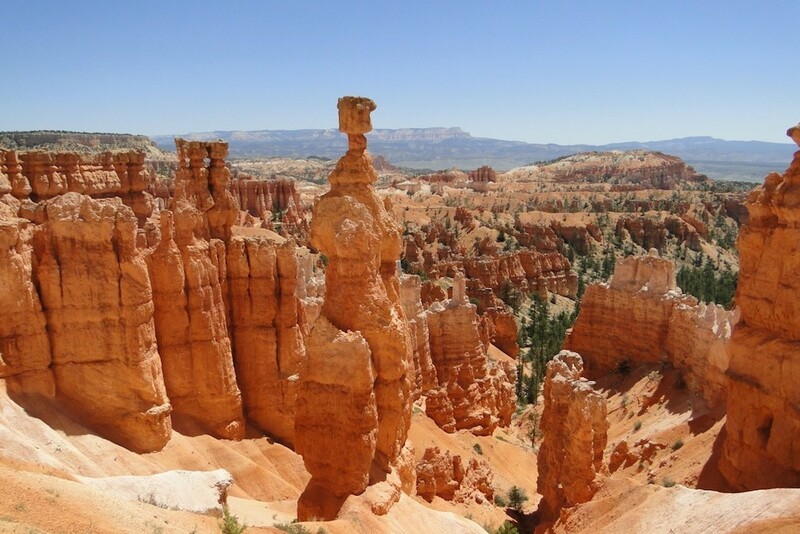 Hike your way through Arches, Canyonlands, Capitol Reef, Bryce Canyon, and Zion to experience lands like no other. Tours depart from Salt Lake City or Las Vegas from March through October and begin at $1499. What is it? 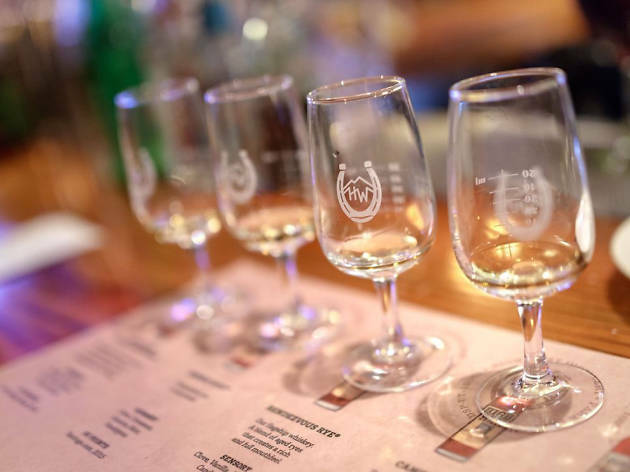 Experience a taste of the Old West at Park City’s High West Distillery, saloon, and restaurant. Why go? Free tours of the distillery are offered Monday - Thursday at 1:00pm and 2:30pm and Friday - Sunday at 11:00am, 1:00pm, and 2:30pm. Delight in a Dead Man’s Boots High West Lemonade made with Double Rye! 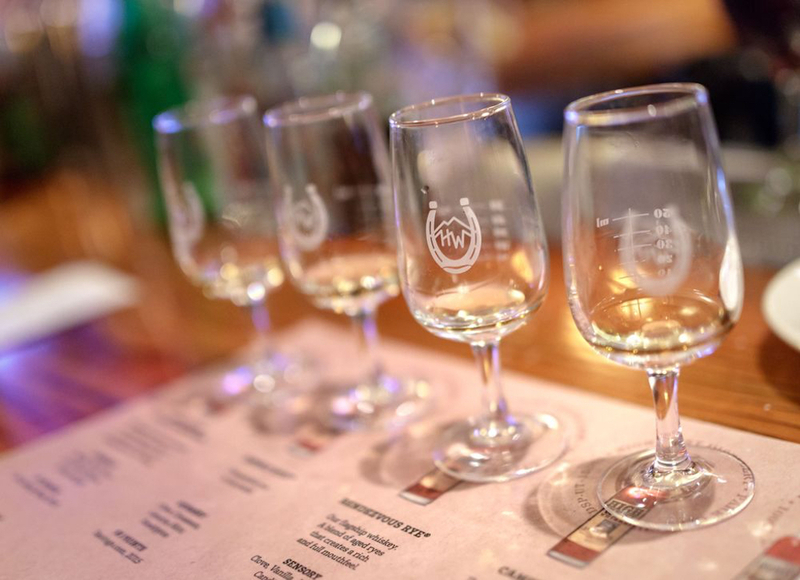 Pair your whiskey cocktail with High West Cuisine to get the most out of your meal. What is it? A 50-mile out-and-back jaunt that starts and finishes and the Joseph Holbrook Centennial Park and winds its way to the Fielding Garr Ranch on Antelope Island. Why go? 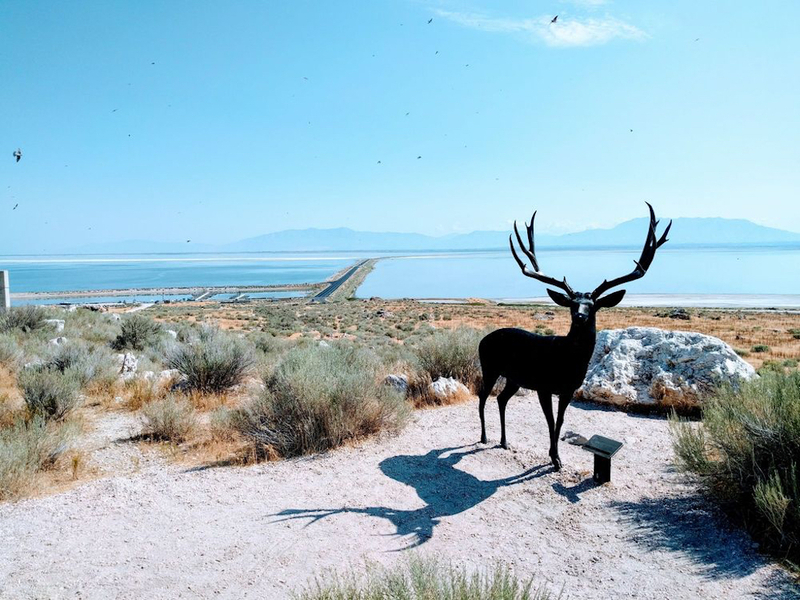 Cyclists on this route take in unparalleled views of the Great Salt Lake and have better than a good chance at seeing endemic wildlife along the way including, bison, mule deer, pronghorn antelope, bighorn sheep, and other animals. The entrance fee is just $3 for cyclists and the park is open 6am to 10pm. What is it? 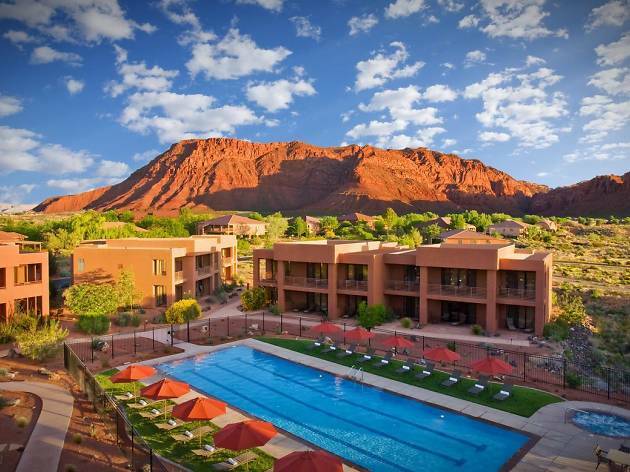 The resort offers self-paced adventures, daily guided group hiking in Snow Canyon, fitness classes, excursions like canyoneering and horseback riding, and a full spectrum of spa and salon treatments. Why go? Take a break from your life to indulge in whole body and mind wellness. The food is just very tasty and healthy. A favorite activity is the Pound Puppy Hike, where guests can borrow dogs in need of a fur-ever home to share their trail. The Lava Tubes Hike is unique and exclusive to the resort. Retreat packages start at $305. What is it? 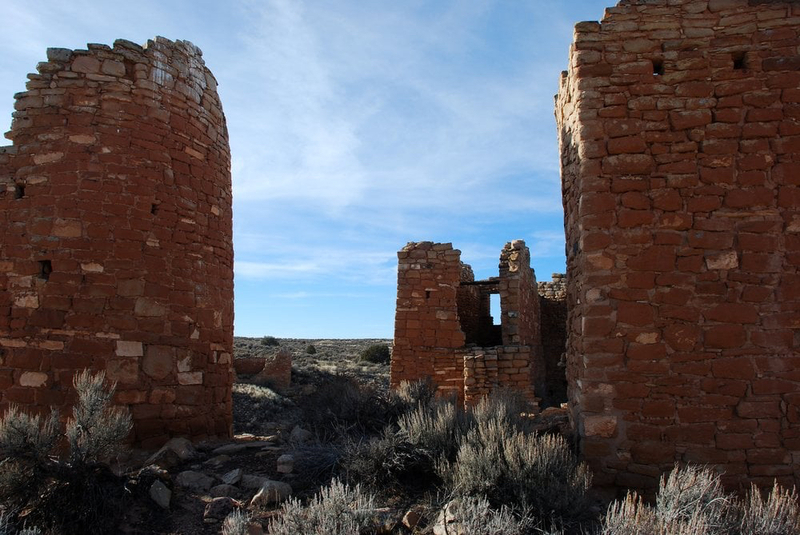 At Hovenweep, you’ll see a group of six well-preserved prehistoric villages built by the Pueblos between 1200 and 1300 A.D. situated atop canyon rims and delicately balanced slabs of red rock. Why go? 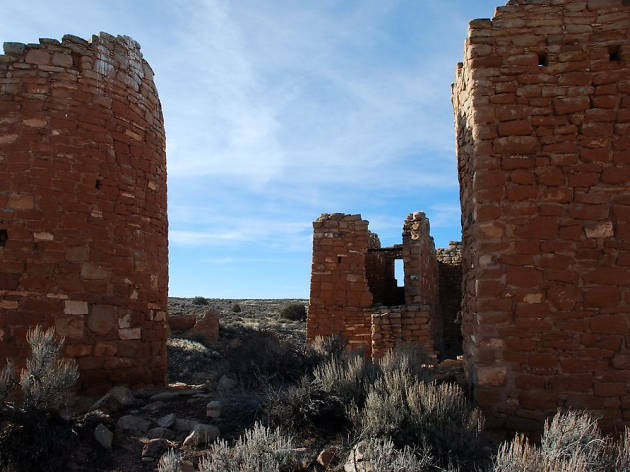 Not far from Mesa Verde National Park and Cortez, Colorado, this National Monument is one of the most underrated attractions in Southeastern Utah. Its relative remoteness is a welcome change from other bustling tourist attractions. The visitor center is open year-round from 9:00am to 5:00pm. There is no entrance fee. What is it? 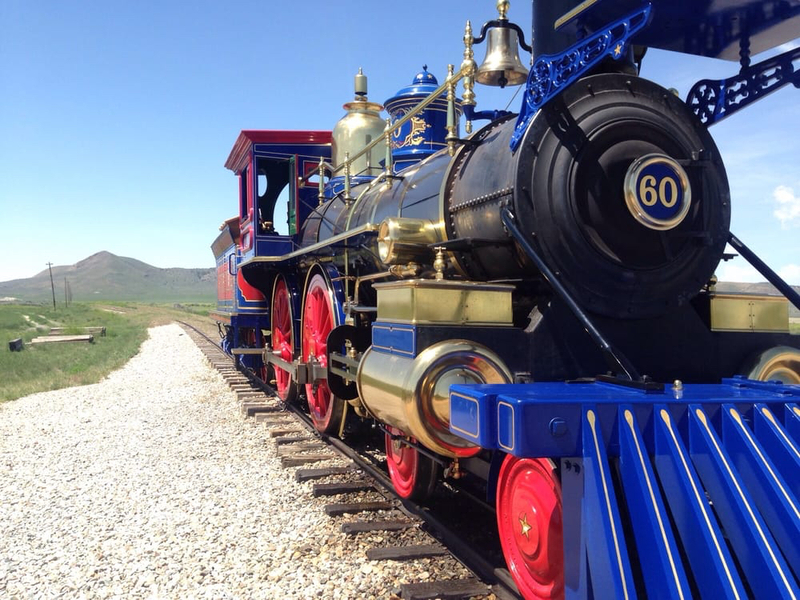 The Golden Spike National Historic Site is where the first Transcontinental Railroad was completed joining the Union and Central Pacific Railways at Promontory Summit on May 10, 1869. Why go? It’s one of our nation’s most important heritage sites. The attraction is open year-round from 9:00am to 5:00pm and there are re-enactments and locomotive runs at certain times. While in the neighborhood, swing by Spiral Jetty. Created by sculptor Robert Smithson in 1970, it’s a 1,500-foot-long earthwork installation made of mud, salt crystals, and basalt rock built on the northeastern shore of the Great Salt Lake. When the lake rises it disappears. What is it? Locals love this former dive bar turned prohibition era cocktail bar. Why go? 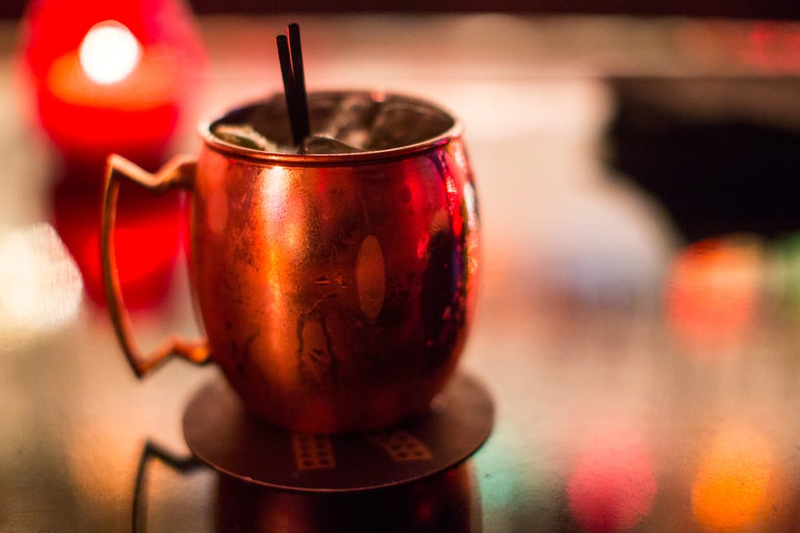 Bar X serves craft cocktails such as Moscow Mules, made with house-made ginger beer and served in real copper mugs, as they should be. 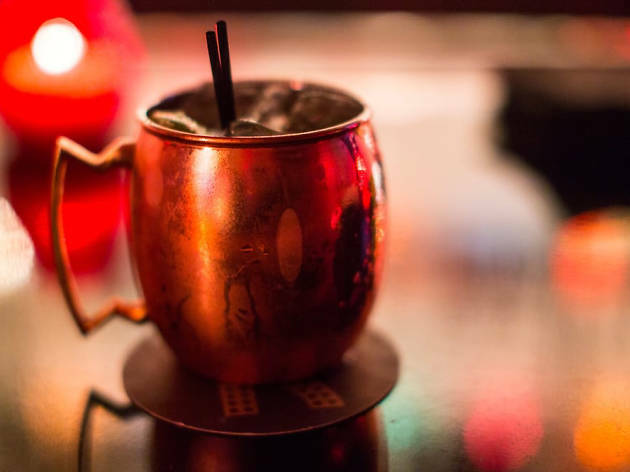 Though the patronage is somewhat diverse, the speakeasy vibe acts as a hipster beacon so if you need a break from the ironic mustaches, step through to the adjoining Beer Bar, which offers a decidedly different atmosphere and a large variety of beers. Both are owned by Ty Burrell, of “Modern Family” fame. What is it? 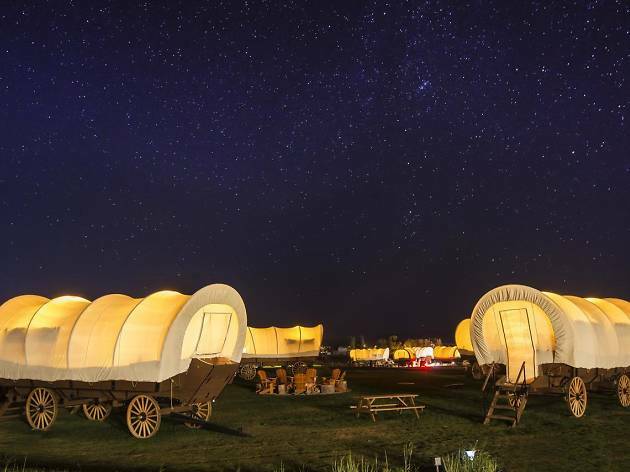 Go glamping (glamorous camping) in a wagon at Bear Lake. Why go? Have you ever glamped in a wagon? Bear Lake is one of Utah’s most scenic destinations. It’s a freshwater lake of more than 100 square miles in the northern part of the state ideal for water skiing, fishing, and other watersports. 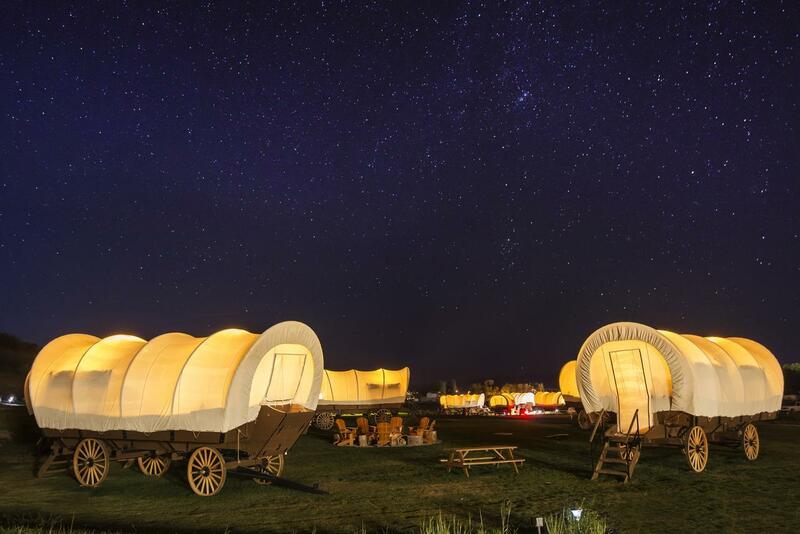 The Conestoga Ranch Glamping Adventure Package includes two nights of lodging in prairie wagons, breakfast, dinner, and a $350 adventure voucher for Epic Recreation, which rents watercraft, water trampolines, paddle boards, and 4-wheelers. What is it? Check out the second largest man-made reservoir in the United States. Why go? Lake Powell is the pride and joy of Utah and is visited by nearly two million people each year. 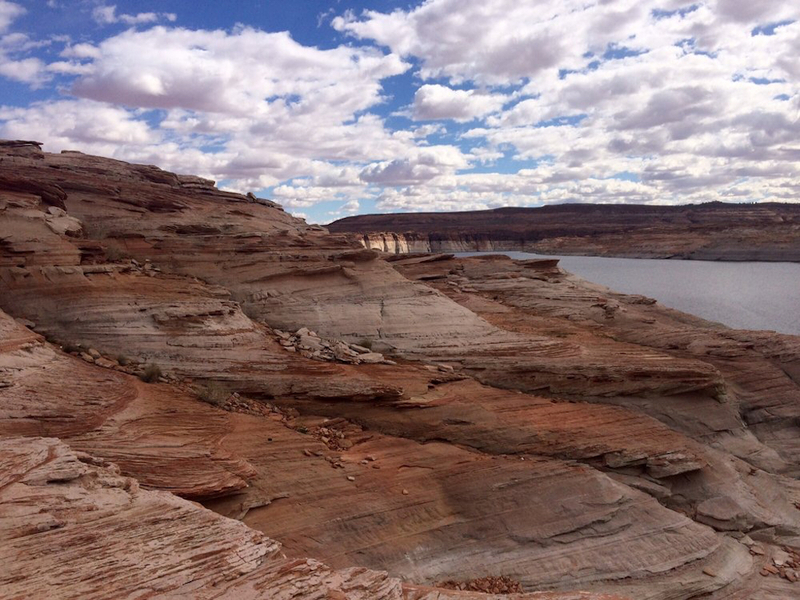 While renting a houseboat may be the most trendy way to visit Lake Powell, if you opt to stay at the Lake Powell lodges, you’ll have a better selection of sightseeing tours for places like Antelope Canyon--known for slot canyon light beams--and Rainbow Bridge National Monument--one of the largest natural bridges in the world. Tour prices vary. What is it? This spot can’t be beat for fine dining in a rustic atmosphere. Why go? Simply one of the best meals you’ll ever have. 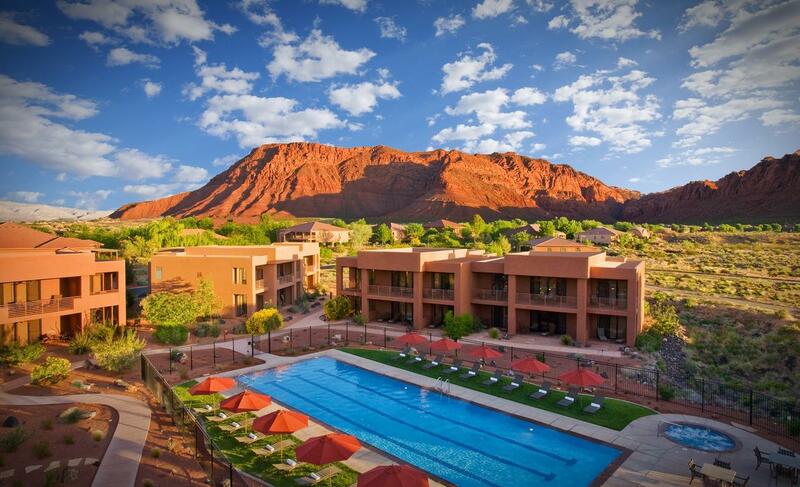 The Mariposa is rated #1 in Utah by the Zagat Restaurant Guide for food and service. If the mountain views and gourmet aromas don’t tempt you, the award-winning wine list will. Dishes like Wild King Salmon with English pea puree, miner's lettuce, wood sorrel, and wasabi vinaigrette and the Wild Mushroom Beggars Purse with Shepherd’s dairy chevre, salt roasted beets, and Pinot Noir gastrique are made with finesse by a talented group of chefs. Entrees range from $34 - $42. What is it? Temple Square is a 10-acre complex, owned by the Mormon Church located in the center of Salt Lake City. Why go? 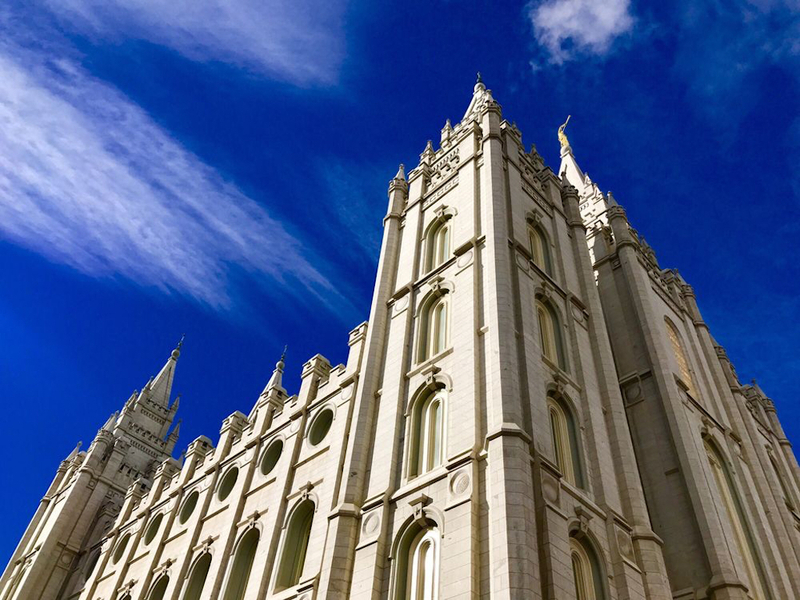 Whether you’re interested in Mormon Church history or not, you’ll appreciate the exquisite beauty of the imposing granite Temple that dominates the cityscape, the neatly manicured gardens, the Tabernacle, and the Beehive House at Temple Square. It’s open daily from 9:00am - 9:00pm and admission is free. You can book a tour or do a self-guided tour of the grounds. The Roof Restaurant atop the Joseph Smith Memorial Building is one of the only rooftop dining establishments in Salt Lake City and has great views of the downtown area. The gourmet dinner buffet is $42 for adults.